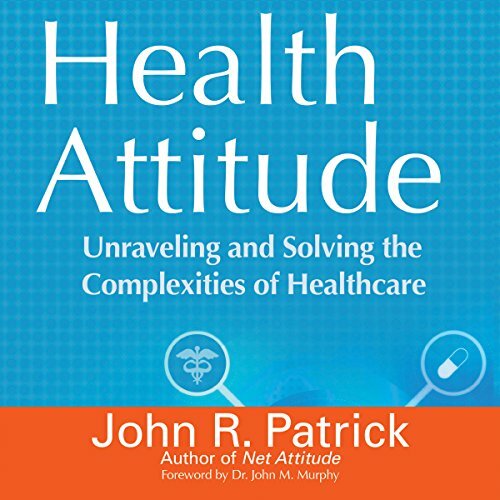 After John R. Patrick's career at IBM, he took a seat on the board of a teaching hospital. He was surprised to learn how hospitals and physicians lagged at adopting information technology, and was appalled at the needless complexity of healthcare delivery processes. Instead of shaking his head and walking away, Patrick took action. The result is a revealing look at the cultural, attitudinal, and technological barriers holding back the United States from achieving a more affordable, accessible, and effective healthcare system. Patrick sees the inability to share personal healthcare information between hospitals, specialists, and primary care doctors as a major problem. He believes increasing collaboration for more effective healthcare is not a technical problem: It is attitudinal. The reliance of the uninsured on expensive emergency care instead of preventive care is not limited by healthcare capabilities, but by the attitude of healthcare policymakers and politicians. Patrick argues we need new attitudes about healthcare to achieve true reform. His vision includes a system focused on patients and uses an accountability oriented, fee for value model. Patrick promotes an attitude that provides incentives for wellness, not sickness. Why does it cost so much and what can be done? If you are a layperson trying to understand why the cost per capita of healthcare in the US is so much higher than the rest of the developed world with no better and often times worse outcomes this is the book for you. John Patrick combines his own very relevant experience with a prodigious amount of research to address each of the major elements of cost on a macro and micro basis and comes up with suggestions for significant productivity improvements and cost reductions. He makes a compelling case that the current Fee for Service Model has to shift to a more patient centric, Fee for Value approach. After listening to his well written, thorough review of this very complex subject it's hard to disagree with him. The problems described are so vast that they seem not a boulder but rather a mountain that this author skillfully picks up, turns over and twists around to look at from every side. The solutions offered seem reasonable, sensible and achievable. All in all a very clear view of a stupendously huge problem with many chilling and disturbing aspects of which I had no idea before reading this very, very good book. It is to be hoped that policymakers in the new Administration will read this book. if you read widely about health care policy, you'll find little new in this book. That said, the final chapter has interested me in reading the author's earlier book, Net Attitude.